Best boilers on the market. value for money without compromise on quality. Built with better materials than some of the more costly boiler manufacturers. I'll fit a boiler for anyone, anything they ask for, but when I'm asked my opinion on what brand I would have there is no stutter nor hesitation. BAXI I say before they've even finished their sentence. Great warranty, Great engineer support and fantastic customer support. Been fitting Baxi products for the last 20 years. Product quality and reliability is second to none. Always enjoy fitting a Baxi boiler for any customer. Great boilers and customer service, I have installed a few now and it is one of the boiler brands I always offer due to the value for money and the long guarantee. The baxi app is also very good and I use it most days! Thank you so much for your feedback and for choosing Baxi! I offer my customers a large range of manufacturers to cover most needs and budgets, when asked my professional opinion on which one I would choose I always tend to push the Baxi option. Great warranty, great price, largely brass and copper hydraullics, easy to install, commission and service along with great installer benifts via the Works loyalty scheme. Thank you so much for such a positive review. 5* all day long for Baxi. You can’t fault them from technical help to customer service. They are the best manufacturer to deal with in my experience. Great customer service with great product. My customers like the idea of a lengthy warranty which a lot of manufacturers dont offer. I will be continuing purchasing baxi boilers!! Baxi all the way.Have had 20 years in trade and not another boiler manufacturer can come close.Going from strength to strength with the new 600 series if carlsberg done boilers then this WOULD BE THE BEST IN THE WORLD!!!!!!!! We install Baxi Boilers regularly and find the product, training and support fantastic. Baxi are consistently updating their products and extending their warranties. British made boilers with lengthy warranties are attractive to customers. When there is room within the boiler to replace parts without the need to strip the lot, brass components, excellent customer service and after sales, a tech helpline that answers within minutes and they pass you the service work. What's more, they give you loads of free stuff. Awesome. Love baxi boilers , but I would like a bit more of a range , mainly on the system boilers . But the boilers are very easy to work on and don’t have much plastic in which is what fails on other boilers I’ve worked on . Hopefully they will be a 40kw on the 600 range as a lot of the time people want a good flow rate of a combi as nowadays people have a couple of bathrooms with larger shower heads installed on the showers. Best customer service and after sales throughout the boiler manufacturers. The platinum range of boilers are good value for money and come with a 10 year parts AND labour warranty. Over the last 4 yeas I have installed over 80 Baxi boilers. In total I have had 3 produce a callout within the warranty, in each case Baxi were extremely helpful in resolving the issue as quick as possible with very little down time. Customer service over the the recent replacement condense clips has been very poor. Have sent letters out to our customers saying I don’t complete service work when we do!! Best customer service by far I think when it comes to boiler manufacturers. Any issues I just call customer service and a solution is indefinite the good way :-). Great range of boilers to suit/cover majority, if not all domestic requirements. Customer service/back has been excellent for me on the 2 occasions I have needed to use it. Great product, great warranty and piece of mind for the end user. Fantastic appliances having fitted them for the last few years. Simple, and easy to use for the customer with the platinum 10 year warranty being the most popular. The perfect choice for when it's a baxi being removed! Nearly always same pipe measurements. Good to install and fast with any issues. I've been fitting Baxi boilers for years now. There boilers especially the duo tec & platinums are my preference and try to sell them to customers as a first choice. Servicing is so easy as everything is so accessable. I've used Baxi for 15+ years now and they have certainly had their downs with some questionable boilers (every manufacturer has in my opinion) but the new batch of combis are good quality, robust and most importantly RELIABLE!! Baxi every time for me! Fantastic boiler, staff and reps what more could we ask for! And still using quality materials in their boilers! Top notch! I fit these baxi boilers every time I get a boiler job granted it's not as many I would like to fit though, but firstly the boilers are very quiet and efficient only ever get good comments from customers who I fit them for also I haven't had one of any of the boilers fitted to have developed any problem at all . So yeah 100% BAXI all the way. 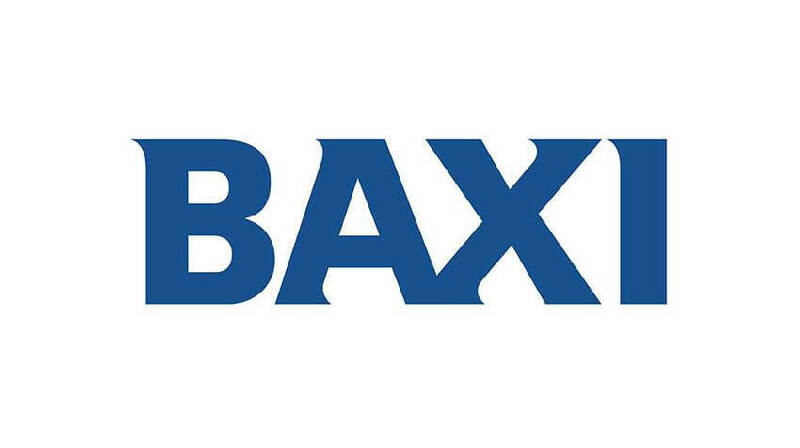 The baxi technical team are very helpful if you ever need to get in touch with them . 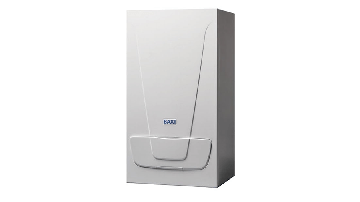 When it comes to boilers, the Baxi range covers all needs and circumstances (Ecoblue, Platinum & Duo tec). Whenever we price up any jobs i never have any hesitation recommending any of the Baxi range. After visiting the Baxi training centres over the last several years I found their trainer/tech guys knowledgeable of their products. The training courses provided are invaluable. When it comes to fitting a Baxi boiler it doesn't get any more simple than fitting the jig to the wall, fitting the relevant pipework and simply hanging the boiler. As you'll see the Baxi range are reasonably priced throughout the market with great warranties. Highly recommend any installers to become part of Baxi Works as they offer great deals & support. Loving the ecoblue heat only, fits in to smallish cupboards, great to work on and great to have the rear flue option. Good service for technical help. Need more ranges for combi boilers. Good package deals available for boiler flue and clock. Good local boilers for me. Fitted many of them over the years and yet to have a fault with a single one. Great range of boiler to suit any job with a good range of warranties available. The works scheme is great for engineers and provides really good back up. Great product, we have been fitting Platinum, DuoTec and EcoBlue's for 2 years and not had a single problem. Easy to service and the customers love them. Their boilers a good, need to have more ranges using open therm and if the duo tec was smaller it would be my go to boiler. Baxi Power, Amazing company with some amazing products, Built in Britain for 150 years, we personally prefer the products that have Brass Stainless steel and copper components. The Duo Tec and Platinum are amazing boilers and do exactly what they say on the tin. Worcester!! customer calls and get through straight away. Give Baxi's customer contact a try, better yet don't waste your time. Worcester customer service is the best, I've had bits missing from both sets of boilers and Worcester UPSd it over next day. All manufacturers have problems, it their response that's key. We as a company have been using Baxi duo Tec's for past 4 years and can and will recommend this product both for quality and aftercare which is amazing!! I did the Baxi free training on the Platinum range and eco blue, great course the training centre was well equipped and the lunch provided was awesome. Good quality takeaway matierial to help with future fault finding. Used a baxi boiler on my current property I'm developing and seems brilliant. Can't fault the products or the customer care provided by baxi. The new boiler are great and the warranty good now as well. Baxi have the same outputs and efficiency ratings as the big boys Vaillant and Worcester. But they are far cheaper and certainly have better customer service than Vaillant who try to blame installers rather than fix problems. I tend to still fit the platinums and duo-tecs with 10 and 7 year warranty rather than the eco blue range as they have nudged prices up there. I haven't had many warranty call outs out of 70boilers in 2 years but the ones I needed were both next day repair and on both occasions the engineer attending complimented the installation to the customer and repaired it with no fuss. I'm sold on Baxi, only tried them because Vaillant started charging £70 for warranty call outs. When are you launching bigger kw outputs on compact system boiler? When is the 800 coming out? Can there be 10 year warranties on the new boilers coming through? Baxi has been accredited for over 5 years but now finding it difficult to sell your products. With Worcester Bosch’s marketing campaign and 5 star trustpilot reviews customers are doing there research. We have some great customer reviews (via Reevo) of our boilers which can be found here: https://www.baxi.co.uk/boilers/our-boilers, or from our homepage on baxi.co.uk We are actively looking at ways to improve our scores on sites such as Trust Pilot and will keep you updated. Are you going to bring out a LPG combi boiler bigger than 30kw? Why complicate the market with so many different warranty options ie 3 years for 200 range, 5 years 400 range, 7 years 600 range etc surely this complicates matters and if the product are all as good as each other why not offer the same warranty across the board? Do you have any plans to bring out a 400 or 600 system boiler instead of just combi boilers? What are your plans for the future when we start to move away from the use of gas? Haha I thought it was meant for me and thanks. Yea i knoew they did a elbow for it but personally i think it looks terrible so i was debating if it would just be easier to either re core or just knock some bricks out. To be honest i could be well over thinking it. Im looking to find one manufacturer that can cover alot of bases including a premium option, so far im down to Baxi and Worcester so which one do you prefer and why. Both have plus points like Worcester have the guarantee instead of the warranty but you have to fit their filter and controls for extended and you need to be accredited for the full whack. But the Baxi range is a solid boiler and models like the platinum with a 10yr warranty with any filter and and controls (or without) is a great point to look at. Baxi is better build quality and you won't get downgraded as an installer if your sales drop off and you fail to meet "install targets"
Baxi seem to draw less complaints, I have had no problems with the few i have fitted.They aslo offer quality training. We fit ATAG as a premium option, and Baxi as cheaper option. Thanks for all the replies one of the only things that puts me off Baxi is the off set flue. How does everyone else ind/deal with it. I was installing ideal for the past two years. But recently shifted to baxi. The rewards seem pretty decent but I like the way ideal let you swap your points for a check. It's just the logic and the customer back up from ideal that lets them down. Or I'd still be using them. Baxi support seems spot on and the boilers aren't to bad. Baxi, easy to install and so far great customer support. No having to fit their filter or controls to extend warranty. Also the works points scheme is good. Iv given up with Vaillant way to much money grabbing for my liking and the new boilers are the same as the glow-worm and heatline. I would use Baxi over Worcester all day long . warranty is better and after sales work or out of warranty work I fix a lot of Worcester boilers always the same things pit holes in the left hydro block hot water side plus hot water flow switch . which leaks on divertor mother so also needs replacing . o yes and wait anything that dose go wrong with them in the future is the installers fault so you have to go back to look at every job . With regards to the flue question, the new compact Baxi 200 & 400 Combi has a central flue but you can also get an offset flue adaptor for the other Baxi boilers with an offset flue. Hi Baxi im fitting a 428 tomorrow so looking forward to that but i do wish they came in bigger KW sizes. Is the 400 style boiler the direction that Baxi will go as it seems to me that the range could do with simplifying a tad. Worcester all day long. Great tech support and well looked after generally. Boilers easy to install. Great availability. I would suggest BAXI simply because they are far more reliable, when I attend breakdowns they are mostly Worcester boilers due to a lot of their parts (plastic) are situated in and around the heat exchanger so failing parts are inevitable! Baxi will give you no long term problems trust me there up the top of the list for me . Regards Paul. Baxi without a doubt. Worcester seem to be a lot more complex and a nightmare to work on. With baxi it's all nice and open and easy to get to things without cutting your hands off.